How Do I Choose Custom Garage Cabinets? Some people are excited by the word “custom.” They get to have things just how they like them and, in many cases, these people know exactly what they want. However, there are others who are overwhelmed by the same word: they don’t know what they want or even what their options are. 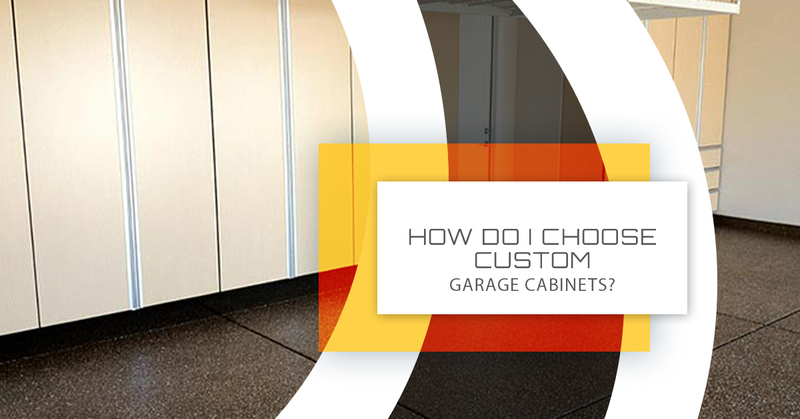 Today, this blog is for those that need more ideas for choosing their custom garage cabinets. We will give you a place to start. The custom garage cabinets experts at Advanced Garage would love to help you figure out what you need so you can have a space that you love to use. When you are ready to make the plunge and invest in your garage, visit our website or a showroom near you. When thinking about customizing your garage, it is best to begin by asking yourself some basic questions. What Are You Using Your Garage For? What you use your garage for is the first question that you must answer because it will determine everything else. To thoroughly answer this question we dedicated an entire blog to talking about how to determine what you will use your garage for. In “What is Your Garage to You?” we began by discussing what should never be in your garage: a fridge, pet food, paper goods, propane, and paint. All of these items can either attract pests, degrade due to the temperature extremes, or are dangerous to keep in such close proximity to your home. Or, your garage could serve a few purposes — your garage can be whatever you want it to be — and by installing custom cabinets you really can create a garage in your vision. The next question that you need to address after you’ve determined what you want to use your garage for, is what are your storage needs? With this use in mind, you can determine the type of storage that will work best and how different types of storage elements can work together to your advantage. Other storage types that work well in conjunction with our custom garage cabinets are our slatwall and overhead racks. You will also want to think about what you want your garage to look like. This includes color scheme as well as layout. Do you favor having a workbench or a open work area in one particular part of your garage? Do you like smaller cabinets or taller ones? To learn more about what your garage can look like, check out our gallery page or visit one of our showrooms to see our custom garage cabinets in person. Ready to take the next step, get an estimate or visit our website to learn more about Sacramentos Top Rated Local® Garage & Cabinet Experts. We provide installation services to El Dorado Hills, Elk Grove, Fair Oaks, Folsom, Rancho Cordova, Roseville, and beyond!